Eyeliner is my best friend. Though I do not see her everyday, but with her presence, I'm prettier and gain more self confidence. I love how eyeliner makes my eyes look bigger and overall I will look like a doll with the help of eyeliner. I started to draw eyeliner when I was 18 and it was a horrible experience, I couldn't draw a clean and smooth eyeliner. I looked like a panda instead of a doll fml. I still remembered my first eyeliner was an eyeliner pencil from Maybelline. Eyeliner pencil was easier for me at that time as I was still a beginner for drawing a pair of nice eyeliner. 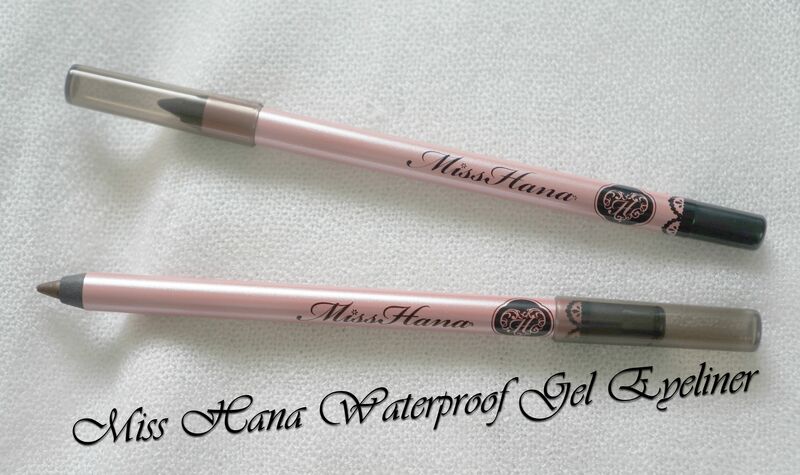 Since Eyeliner is the heart topic for the day, I will share with you Miss Hana Waterproof Gel Eyeliner. I love the little designs on the body. The lace design paired with Miss Hana logo gives a little girlish yet elegant feel. 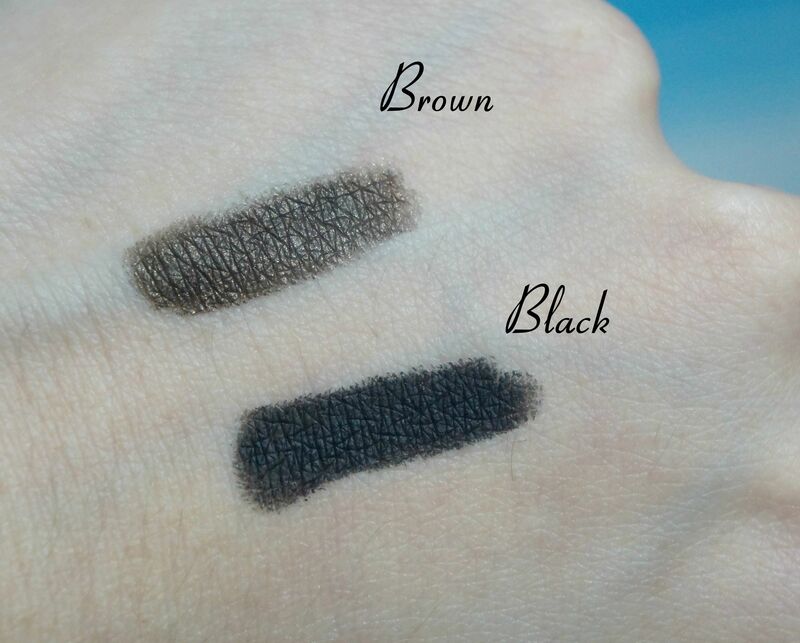 Here's an image of the eyeliners under natural lighting. The black eyeliner is in black khol while the brown eyeliner has a little shimmer on it. 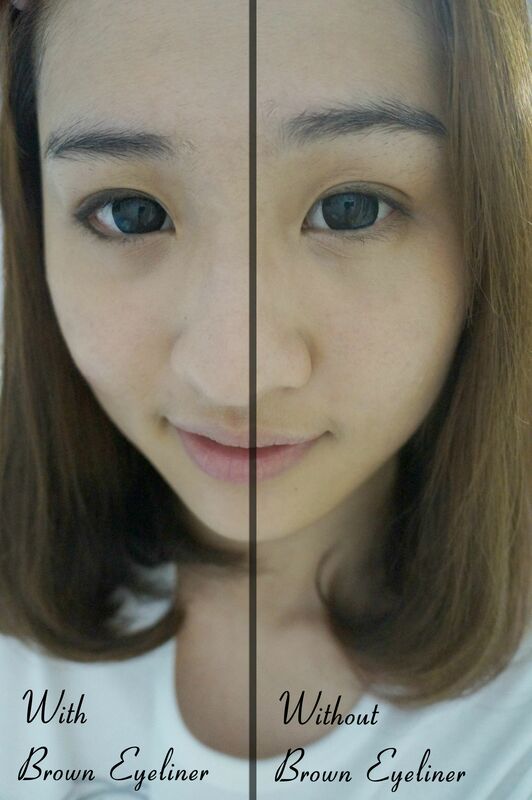 Here's the before and after look of using the black eyeliner. I like it the fact that it is in black kohl and it does not smudge easily as it seems. 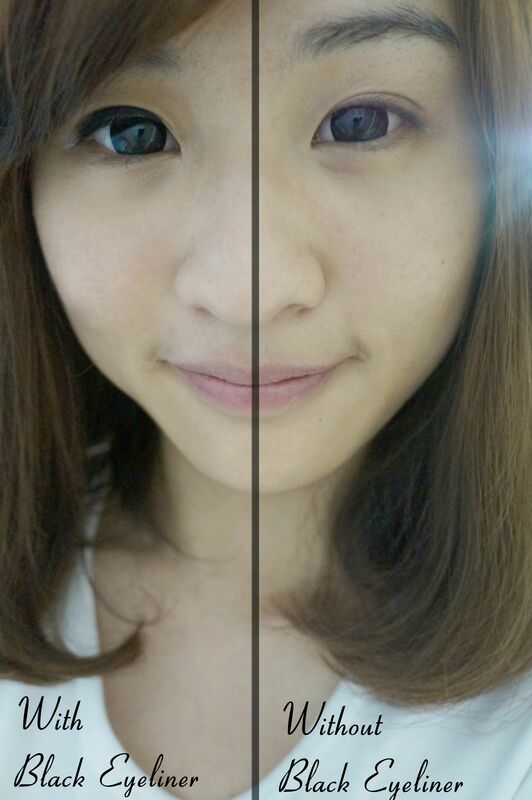 My eyelid area is quite oily after some times but eyeliner does not seems to smudge as I wish. 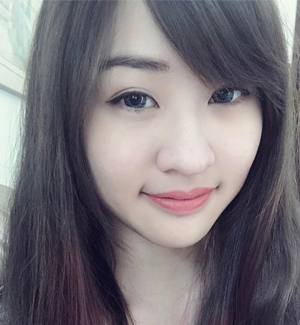 Here is another image of before and after using the brown eyeliner. The brown eyeliner gives a natural touch up on the eye, does not give a heavy makeup look. 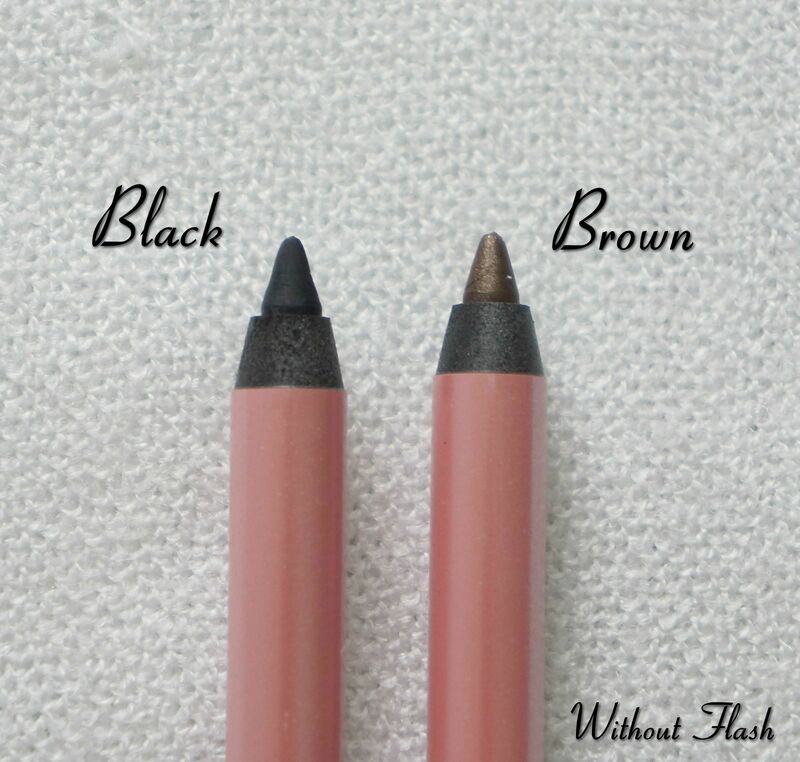 Brown eyeliner suitable for daily makeup look and can achieve a natural yet dolly look with the right technique. Now let's do some tests on the eyeliner. I drew two lines on the back of my palm. The top one is in brown color while the other one is black color. I did a smudge test by rubbing the eyeliners with my fingers. It was pretty amazing that it did not smudge a little. The eyeliner pencil claims to be waterproof so I washed my hands with plain water while my other hand was rubbing against it. As the results shown, the eyeliner is waterproof. I guess I can wear Miss Hana eyeliner to the swimming pool without need to worry about the smudging part. Pssss. A good news for all of you. 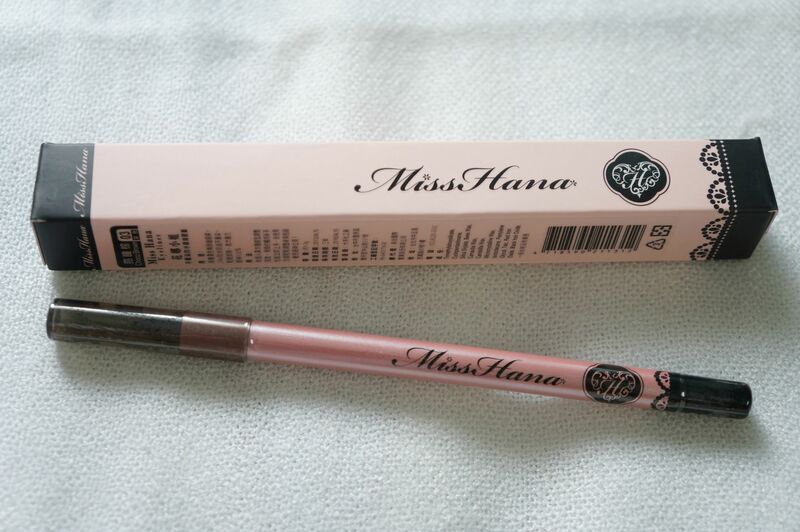 Key in this discount code: MISSHANA to entitle RM5 offer for any color of Miss Hana Waterproof Gel Eyeliner. The code is available until 15th May 2014. 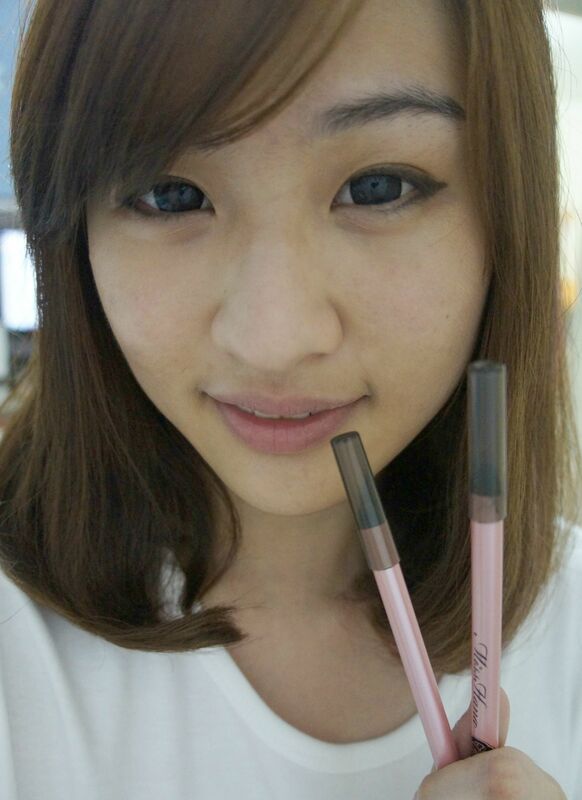 Time to play along with different types of eyeliners now! It has been a long time since my last usage on pencil eyeliner and I have to say, this is a good pencil eyeliner for the beginner. It doesn't smudge easily, unless I use an oil-based makeup remover. It is waterproof as well, I don't need to worry about the smudge after I put on eye drops. My only pet peeve is that the tip need to be sharpened from time to time. It is not very sharp so I can't create smooth and precise lines. I love it a lot leh! The only pencil eyeliner that doesn't smudge for me.